Getting a term life insurance quote is one of the smartest financial moves you can make for your family. An appropriately sized term life insurance policy provides financial security for your family in the event that you die and your income disappears from the monthly budget. 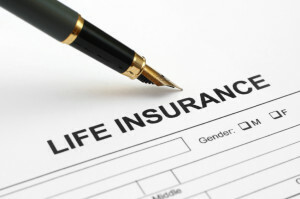 Unfortunately life insurance companies don’t have to give you a life insurance policy. Each company has a different set of guidelines that are used during underwriting. The first company you select to purchase a term life insurance policy from might deny you based on their underwriting guidelines. Whether it is the first company you tried to get a policy from or further down the list of options, you can appeal the denial. The simple reason to appeal a new life insurance policy denial is because you absolutely need an appropriate amount of life insurance. Appealing is just one way of trying to get to a policy. Plus, mistakes can happen in the life insurance quoting process. You want to make sure the denial was made on accurate information and not based on a keying error or some other incorrect input. Insurance companies take blood samples and also pull data from a national database. If any information in your history was input into the database incorrectly they could deny you on that wrong information. Likewise, although unlikely, there could be a problem with some of the blood tests. You want to make sure everything was done correctly. Even if all of the right information was available that doesn’t mean it was processed correctly by the company. Underwriting decisions are reviewed by human beings and they can make mistakes, too. Appealing the denial of a new policy isn’t a complicated process. You don’t need to get a lawyer and have a fancy letter drafted. First, contact the company. Ideally you want to contact them via phone and most denial letters will provide a way for you to reach out to the company. If you can’t find a good phone number you can resort to using e-mail. If you do have a good phone number you want to call to speak to a representative to explain your situation. They may transfer you to another department or you may need to ask to speak to a manager. Either way you want to get them to pull your data and explain to you what happened to cause the denial. You may need to get your primary physician’s assistance in disputing the claim. Perhaps you have a condition that set off a red flag for the life insurance firm. A doctor can write a letter showing how he or she is helping manage the condition. With proper health care that condition may not be a serious issue to your health and could result in a reversal of the denial.